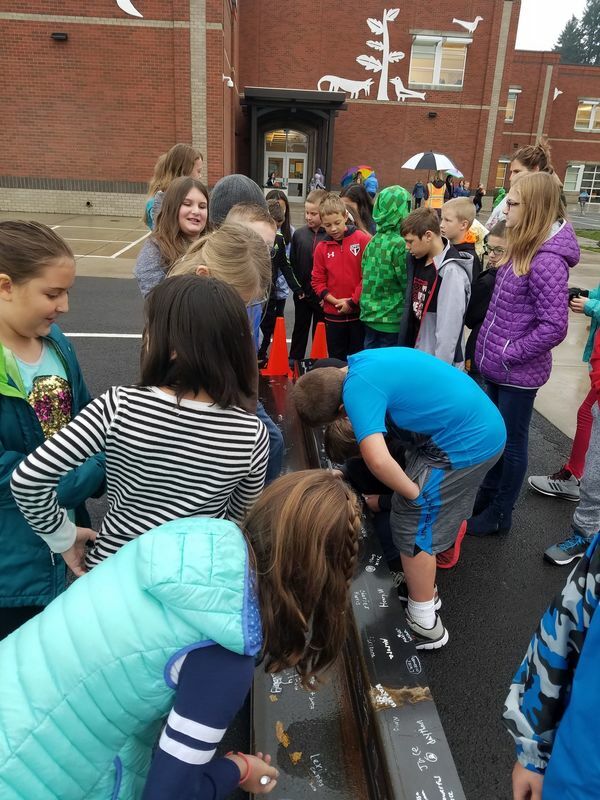 A new school complex for the Ridgefield School District is currently under construction, and this week, students got a chance to leave their mark on the building that will soon be their brand new school. 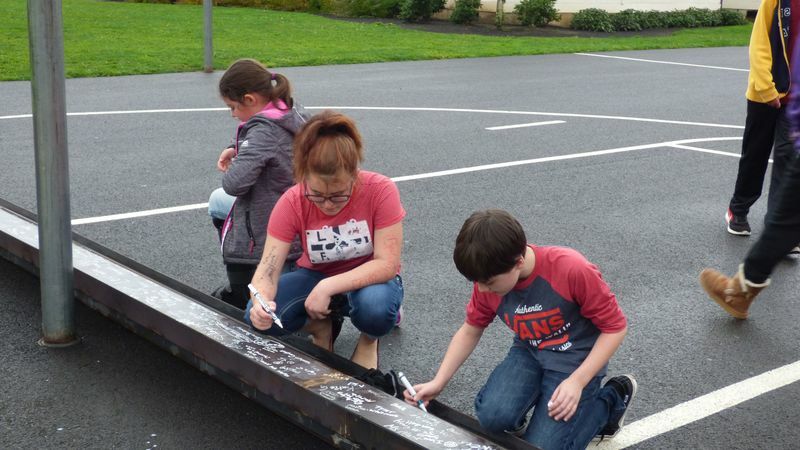 Earlier this week, Alliance Industrial Group (AIG), a local steel fabricator in Ridgefield, delivered a steel beam to the district for students to sign. School district officials came up with the idea months ago as a cool way for students to take part in the construction process of their new building. The personalized steel beam will be installed in the 7-8 classroom wing of the district’s new Grades 5-8 school complex scheduled to open in the fall of 2018.